‘Tis the season for Oscar parties. If you really want to impress your friends during this Sunday’s festivities, don your tux or gown, get behind the bar, and whip up some of these cocktails inspired by some of the nominees. Muddle the basil in a shaker. 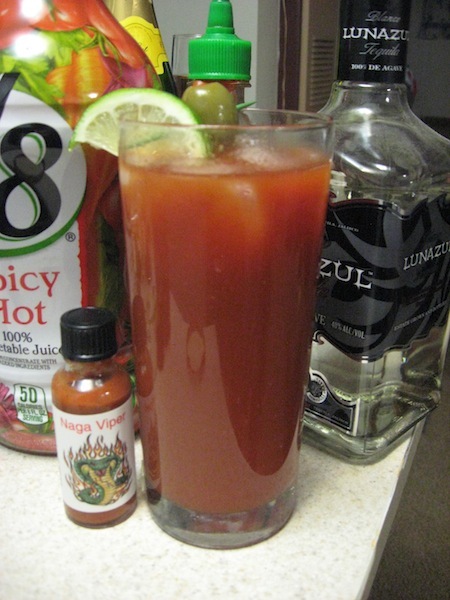 Add ice and gin and juice the lime. Stir, strain, and serve up into a cold martini glass. Garnish with a twist of lime and/or a basil flower. George Clooney is the epitome of A-list. He’s got class and style, but he’s down to earth, too. He’s the guy who bought his friends a dozen motorcycles just so they could ride together. He’d invite you to his posh Italian villa just so you could have a drink on the porch and watch the sunset. 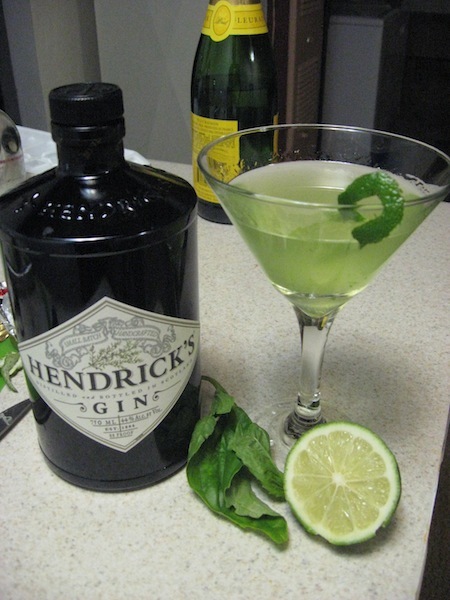 That’s the inspiration for this spin on the gimlet. Hendrick’s is a very classy gin, infused with rose and cucumber in addition to the traditional juniper. The basil blends with the cucumber and also reminds one of enjoying a cool drink with a fresh Caprese while relaxing at said Italian villa. If this cocktail is any measure, this could be Clooney’s year for the Best Actor nod. Stir and serve on the rocks garnished with a cherry. Brad Pitt, in contrast to his cool-as-a-cucumber Ocean’s 11 co-star, has a bit of a wild side. His characters often have a mischievous and slightly psychotic streak about them from Inglourious Basterds’s Lt. Aldo Raine to Fight Club’s Tyler Durden. 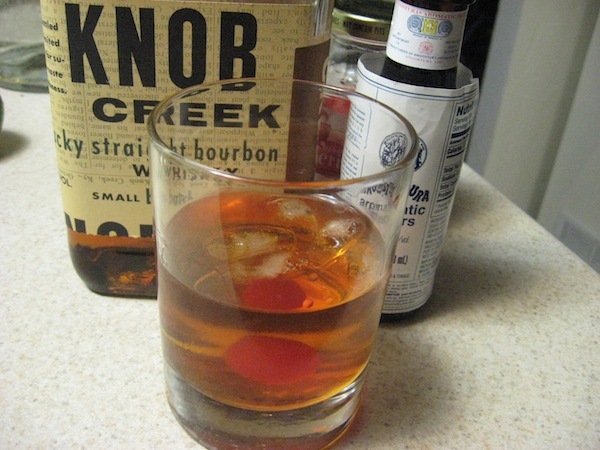 A strong bourbon like Knob Creek will give you a kick, with smooth cherry influences to keep it in check. In any case, this spin on a Manhattan will make you at least feel like the Sexiest Man Alive. Mix gently in order, adding the Chambord slowly to create a colorful gradient in the glass. This French actor was more or less unknown in the States until his breakout role in the silent film, The Artist. As such, his cocktail is stereotypically French, with a twist. For this incarnation, I used an $11 sparkler from the Côte d’Or. If you’re going to make it into a cocktail, please don’t use the good stuff. 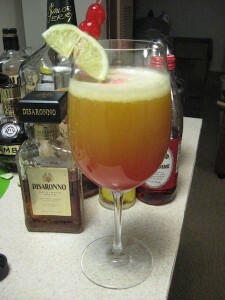 Shake with ice, serve in a large wine glass and slowly add grenadine to produce the sunrise effect. 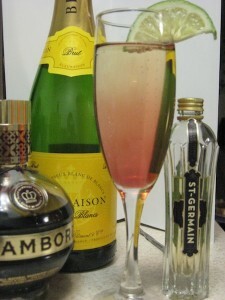 The show-stealer from Bridesmaids deserves a show-stealing cocktail. It’s a mix between a Bocce ball and a rum sunrise and is just as loud and proud as the actress herself. Bring your sweet tooth! Mix and serve in a white wine glass. She’s an American original and so is this cocktail. 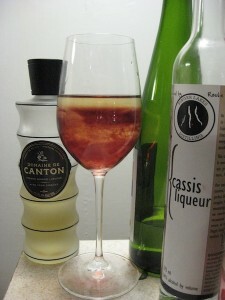 And before I get any flak about using wine for cocktails, just shut up and try it. It needs a cool-climate Riesling: one that still has its characteristic lively acidity. Take care not to drown out the aromatic white wine with the liqueurs. They should complement the gingery and flowery notes of the Riesling, not overwhelm. It’s this complicated mix of sugar and spice, strength and subtlety that keeps Ms. Streep showing up nominated on the red carpet again and again. Shake and serve in a Collins glass, garnishing with an olive. I believe that Tom gets his palate from both of his parents. A lovely article on the finer things in life.